Description 1 photographic print mounted on 8 x 10 in. board ; 5 x 7 in. 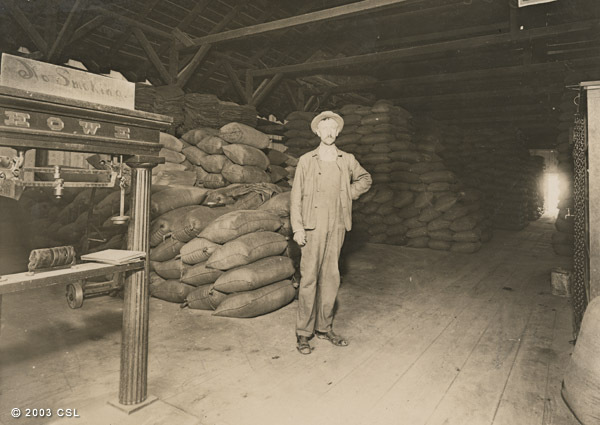 Summary Hans P. Jansen standing inside a storage area of the feed mill; scale at left, sacks of feed behind Jansen.